Launched in the fall of 2003 by the design house of Hugo Boss, Boss Intense for women is a sharp floral scent. This feminine scent possesses a blend of Spice, Kumquat, Vanilla Orchids, Turkish Rose, Woods, Amber, Musk. Its a beautiful Three Piece suit. A complete unstitched Shalwar Kameez with Duppata by famous brand “Gul Ahmed”. Enjoy the wholesome goodness of fresh milk in this slab of chocolate. Cadbury’s Dairy Milk, richer smoother milk chocolate. 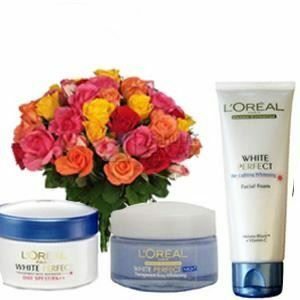 -Delivery possible to allover Pakistan in 48 hours. 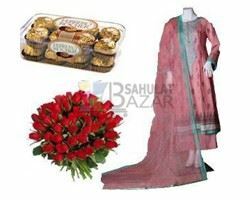 -In case of non availability of the specific design and color of suit, Sahulat Bazar reserve the right to substitute the suit of equal quality and value.